#CitizensRoute73 Louvain-la-Neuve: Proceedings of the workshop “For a reinvention of Europe through the democratisation of the Eurozone”(Marie-Hélène Caillol, with Cédric du Monceau, OLLN, and Antonis Triantafyllakis, AEGEE-Europe). As part of the launch of the #CitizensRoute73 the participants worked on Sunday 2 July in two categories of workshops: 1) the proposals of programmes that could be presented as part of a trans-European campaign for the 2019 European election; 2) the tools and methods necessary to allow the emergence of a real trans-European political debate over the next two years. The workshop “For a reinvention of Europe through the democratisation of the Eurozone” a workshop led by Marie-Hélène Caillol, FBN, with Cédric du Monceau, OLLN, and Antonis Triantafyllakis, AEGEE, tackling with the eurozone as a structuring content axis for the general European democratisation project. The Eurozone workshop, a platform meant for the launching of a process for Europe’s reinvention, enabled us to validate the eurozone as a structuring content axis for the general European democratisation project. Strategic actions are based on a central idea of ​​a “public survey” on the priority given by European citizens to the resolution of the euro crisis. The concerted action could begin with a special issue of the POUR Magazine, inviting some very important politicians who have been working on the issue (Guillaume Sacriste, Thomas Piketty, Yanis Varoufakis, Franck Biancheri (unpublished texts, etc) to express themselves on the link between democracy and euro crisis solutions. On the basis of these personalities, a sort of “manifesto” of the problems of the eurozone citizens regarding their common currency and its management could be drafted. This would be associated to a project for a trans-European public survey, all of this making possible subventions for the forementioned survey. The survey could take place around June 2018, whilst the conclusions and recommendations resulting from it will then be the subject to some lobbying in the eurozone, among authorities, governments, as well as Eurozone MEPs, but also parties, national or trans-European ones, running for the election of 2019. Regarding the eurozone MEPs, if the budgets allow it, a series of Euroland sessions could be scheduled further to the initiative of the citizens of the Route73 in autumn 2018. The running parties for the 2019 election will be questioned within the first half of 2019. 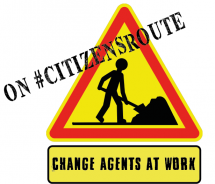 The added value of an initiative such as the #CitizensRoute73 arises, on a subject already addressed by other actors. The answer lies in the Route73’s emphasis on the trans-European dimension of the solutions currently under discussion, in particular the hypothesis of a eurozone parliament which should avoid falling into the purely national representation of citizens’ interests. We should exploit much more the innovation represented by the opportunity to invent a new authority of citizen representation. The Eurozone Citizens’ Agora project can still be a source of inspiration in this field.
! 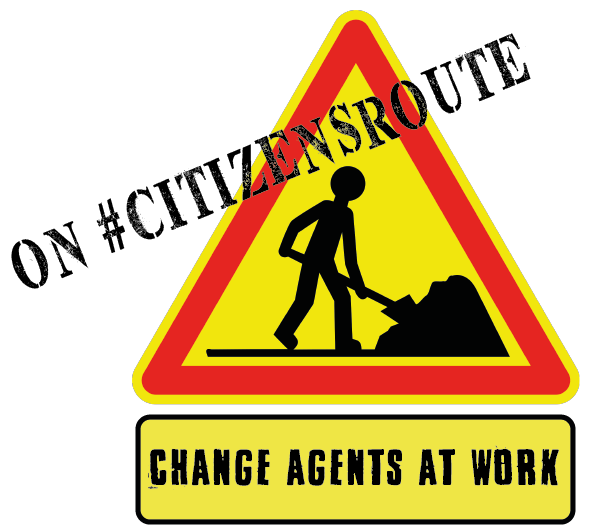 For those registered on our lists you can find this program proposal under discussion on our platform loomio #CitizensRoute73 !